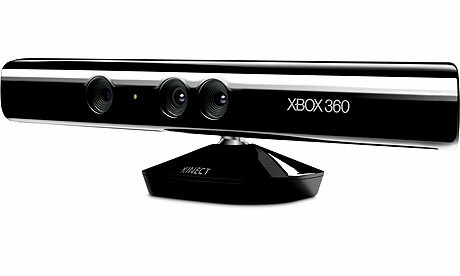 Kinect – Destined to Fail? Microsoft is trying to attract Wii gamers with their Kinect advertising scheme, there’s no doubt about it. The difference is, however, Microsoft doesn’t want this new platform to be plagued with the endless shovelware that Nintendo’s platform has faced since its initiation. Shovelware plague? If a “plague” brought with it success and riches beyond my wildest dreams I’d hardly deride it. Nor would I think of altering the plague in hopes of re-creating that success the came with it. If plague = success, then more plague, please! We don’t want shovelware, we don’t want ports, we don’t want stuff with motion controls tacked onto it. Makes me wonder… are they launching a platform or an ideal? Has anyone thought of the positive benefits of “shovelware” or the model which allows it to exist? Ports are bad, why? Seems to me they neatly attract an existing audience to a new product badly in need of support and interest. “Stuff with motion controls tacked onto it…” but what if this is how developers and consumers learn about the new paradigm – in the safety of what they already understand? Evolution doesn’t happen over night. Not for game creators, nor for the audiences that buy their products. We continue to say that the controller is the best experience for controller games. When people say, ‘Why don’t you have Halo?’ Well, I don’t want Halo on Kinect. I want Halo on a controller. Now would it be interesting to see what kind of game they could make using Kinect? Yeah, I would love to see what those guys could do, or what the Call of Duty guys could do. But I don’t want to play Call of Duty 4, I want Call of Duty: Black Ops on the controller. So yeah, I’m really, really happy with the stuff that [publishers] are doing. â€¦ The most interesting stuff is going to be what comes out six months to a year from now when people come to grips with the technology and really start taking advantage of it. The MS strategy really seems to emphasis constraints – which are fine and good when developing creative content. But the constraints are in the wrong places – constrain how developers and consumers interface with the platform (as Nintendo did) by releasing a console with motion control as the ONLY input option. The creates a demand for original ideas and innovation to solve the most basic problem of getting known-genres to work on new hardware. A giant audience awaits, Nintendo proved it – we just have to solve this problem … except that the MS strategy says “you don’t have to solve it, just use controllers with controller games”. That’s a pretty half-assed paradigm shift. Further, I’d argue that the evolutionary timescale will be longer than 6 months or a year – because the environment for exploration of new concepts hasn’t been put in place. Stifle exploration and you limit discovery. If MS asked me I’d say, “build a model for online distribution of Kinect ‘applets’ and allow anyone to submit content to it”. This is the iPhone/App Store model combined with a potentially revolutionary bit of interface hardware. Let the market and innovators drive it towards best possible use cases. It’ll happen so fast and make so much money you won’t even notice the shovelware. I’ve got nothing but love for MS and a piece of hardware which might move us away from the dark ages of mice, keyboards and controllers. Wii did it. Kinect can improve on it – certainly in terms of hardware and natural interface (I know, we’re doing R&D with one at Spicy Horse). But if the nature of the launch/publishing model isn’t as natural and innovative as the hardware, then the thing’s destined to fail. And that would be a real shame – not just for MS, but for developers and gamers alike. Here’s hoping they open the floodgates before its too late. To hear some publishers tell it, used game sales are the devil’s work, and we–meaning us consumers–the devil’s henchmen. We’re buying too many used games, you see, and in our patient thrift, we’re destroying the very thing we’re supposed to love. Not the games themselves, mind you–first-class game development is flourishing with or without the World of Warcraft’s and Call of Duty’s–but, if we buy the corporate line, the ability of game publishers to reap increasingly massive revenues. Nothing new, really. Industry reports indicate used game sales are cutting into new game sales. Publishers and developers feel the pinch. Consumers and retailers don’t see the problem. The economy gets some punching bag action. And finally, it’s suggested the “model” might be changing – moving towards more DLC and online content. And what of online content? In China, where piracy is ubiquitous, there is virtually NO piracy or second hand sale of domestic game product. But then, there are no physical game good here – everything is online. What box product does exist comes from outside – Western games pirated and copied ad nauseum. Chinese gamers LOVE Western games – but what little money they pay for them will never reach the publishers or developers who made them. How different is this from second hand sales, BTW? China’s game operators know how to run their businesses. 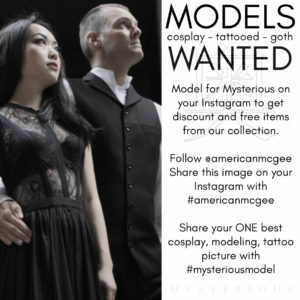 They’ve built a model which disallows competition from developers, pirates, retailers or consumers. It’s a closed-loop system enforced by government regulation and licensing. And I guarantee you Western publishers would have adopted the model in a heartbeat if they could have. Ideal models regulated by Communist edict aside, what’s stopping Western publishers from evolving? Simple: They’re too invested in the protected market model competitively evolved over the previous two decades. The one in which their ability to spend ridiculous sums of money on development, marketing and distribution guarantees they’re the only “legitimate” publishing organizations around. It’s only with the advent of “disruptors” like publisher-independent development organizations (see Valve), innovative hardware technologies (see Nintendo), and online distribution platforms (see Facebook, iPhone, Steam) that the old model is challenged. The old guard, AAA publishers are backed into a corner. If they’ve not yet secured their online strategy then it’s likely too late. Dependency on a retail model that even the retailers admit is broken is, this late in the game, is a ticket to ride the way of the dinosaurs. But then, that’s what we’re talking about here, isn’t it? Dinosaurs. And the little mammals nipping at their remains. It’s evolution in action. Should we feel bad about nature taking its course? Look at Asia to see the future – where the mice have evolved into men and are taking over the world. Deride the current model, poke at the dying beasts, and imagine what tomorrow will bring. A better world? In all of this, never forget dear consumer, it’s YOU these beasts are feeding on. Nom nom.